Cigar City Brewing Canned Beer..Coming 2012! Hey again, Tampa Bay! Katy here with some exciting news about one of our fabulous partners. Cigar City Brewing is buying a canning line from fellow craft beer canner, New Belgium and have announced that they are going to start selling canned beer in March 2012. Their ever so popular local craft beers such as, Jai Alai IPA, Maduro Brown Ale, Tocobaga Red Ale, Hotter Than Helles Lager and Florida Cracker White Ale will be sold in a six-pack of cans in local shops for an average price of $9.99. 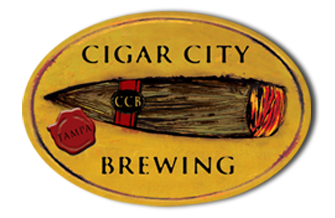 Cigar City Brewing is hoping to eventually phase out bottles entirely and only offer cans for sale. Be sure to be on the lookout for Cigar City Brewing canned beers in early 2012! That&apos;s all for now, but check back for future partner news and things to do in Tampa Bay!